I want to talk today about things that matter to every day people. The referendum might mean the biggest change in our constitution for 300 years but instead I want to talk about the big decisions which really occupy the minds of Scots every day. Decisions like how to put food on the table. Decisions like what we cut from household budgets, when wage rises don’t meet price rises. Decisions like how you look after the kids when you are working and you can’t afford, or find adequate childcare. What to do when your care support is cut. What to do when you can’t find a place at college. What to do when you lose your job and can’t find another. We have a parallel world in Scotland. As the nationalists try to find the question to which independence is the answer, fundamental questions go unaddressed. We saw that in the budget last week. Nothing for jobs. Nothing to boost the economy. No tough decisions made. There are three fundamental problems for any finance minister. One is the Tories’ agenda of cutting too far and too fast. But we know from the late Campbell Christie’s commission that public spending is not expected to return to 2010 levels in real terms for 16 years. But there are two other major problems. We, like every other country in Europe certainly, perhaps the world, will have to deal with the consequences of the collapse of the west’s banking system. The other is the fundamental shift of economic power from west to east, with the rise of China and India. There is, and there is going to be, less money around. Add to that the fact that we can see a ticking demographic time-bomb that is about to explode, where fewer workers will have to provide the income to support more people and the job of an honest finance minister is a tough one. The Scottish population aged 65 years old and over is will be a staggering 63% bigger by 2031. For those aged 85 and over, the population will rise 144%. As a consequence, Scotland’s public services face unprecedented challenges. When the nationalists commissioned the Beveridge Report and the Christie Commission, I thought they were getting serious about government. They tried to flag up the difficult decisions governments of any stripe, in any constitutional arrangement, will have to face. I may only have been leader of my party for nine months but I have learned something about leadership. You cannot put problems off. But what we saw last week was emblematic of this government. When the going gets tough, they kick tough problems into the long grass. In a budget badged as one wholly focused on economic growth, they ducked the tough decisions that may have enabled this. As they have done at budget time every year. For example, spending on concessionary fares increased by 19 per cent over the last four years, while spending on enterprise and tourism has fallen dramatically by 33 per cent. But John Swinney doesn’t want to address the big questions because he has a big by-election to win in two years time. That is how the nationalists are treating the referendum. Like an election to be got through rather than an argument to be won. Don’t scare the horses. Don’t deal with the difficult stuff, the painful stuff that might make you unpopular. Leave it until later. Leave it until it is too late. Some might even argue that John Swinney thinks it is in his political interests not to protect Scotland from the Tory cuts, but to let them run free in the hope that the pain that causes ordinary Scots will help him in the referendum. I am not going to get into an auction with the SNP. They might cry freedom but the idea that Scotland is a land where everything is free is a lie. Someone always pays for it in the end. A council tax freeze, for example, costs. It’s cheap to say, but expensive to fund. And if you don’t fund it properly, and John Swinney isn’t funding this one, I’ll tell you what it costs. In North Lanarkshire alone, another 1400 jobs at risk. And if you don’t care about the families that involves, the lost services people rely on, the individuals facing idleness, crushed hopes and losing control of their lives, let me put it to you in cold economic terms. That is potentially 1400 incomes taken out of the economy. When the Scottish economy desperately needs a stimulus, that is 1400 people spending less, supporting fewer jobs, buying fewer goods and services. And that, thanks to Salmond and Swinney refusing to fund the council tax freeze means that while individuals may pay less, the communities they live in are worse off and so ultimately are they. Less support, fewer services for the poor and vulnerable and for the young and aspiring. Less cash in the economy. A downward spiral. And let’s be clear when we repeat that John Swinney is George Osborne in a kilt. When Osborne cut the Scottish government’s budget, Swinney cut local government deeper. Even when his budget was increased, John Swinney still cut the local government budget. And all the while, the Scottish government passed a bigger and bigger burden on to an already stretched local government. Class size pledges, kinship care allowances, free school meals, all promised by Alex Salmond, but without the money to pay for it. That is not leadership, that is passing the buck. A vision for Scotland, all on the never never. Alex Salmond says he’ll make Scotland a progressive beacon. Well, I have to ask what is progressive about a banker on more than 100,000 a year benefitting more than a customer on average incomes from the council tax freeze? What is progressive about a chief executive on more than 100,000 a year not paying for his prescriptions, while a pensioner needing care has their care help cut? What is progressive about judges and lawyers earning more than 100,000 a year, not paying tuition fees for their child to follow in their footsteps at university, while one in four unemployed young people in Scotland can’t get a job or a place at college? I believe our resources must go to those in greatest need. But if the devil’s greatest trick was to convince the world he didn’t exist, Salmond’s most cynical trick was to make people believe that more was free, when the poorest are paying for the tax breaks for the rich. Alex Salmond is quick to point to the high levels of welfare in Scandinavia but those universal benefits are paid for by high levels of taxation. Scotland cannot be the only something for nothing country in the world. And I will not tolerate a country where the poorest pay for the tax breaks for the rich. Is it any wonder, that the biggest supporters of independence seem to be tax exiles who live abroad? We need to ask different questions and face up to the honest answers. For the last decade Scotland’s budgets have grown rapidly but we are in a new age with less money and more demands. We need to say what we want Scotland to be, what we can realistically afford, and how can we, in reality, make Scotland better. This is the stark choice that Scotland has to face up to: if we wish to continue some policies as they are then they come with a cost which has to be paid for either through increased taxation, direct charges or cuts elsewhere. If we do not confront these hard decisions soon, then the choice will be taken from us when we will be left with little options. That is why I will be taking a fresh and serious approach to developing policy. First, we have set up a joint economic group between or MSPs and MPs, chaired by Cathy Jamieson and Ken Macintosh, which will seek evidence and advice from a wide variety of leading experts and authorities, aswell as ordinary people. We will also work with Arthur Midwinter, associate professor at the University of Edinburgh, and former budget adviser to the Scottish Parliament for five years, to develop an across-the-board, costed analysis of available policy options at this time of financial austerity. Working with Arthur, we hope to address the fundamental question of how we deliver social justice at a time of scarce resources. And this week, my shadow cabinet will have a joint meeting with the Scottish Trade Union Congress to discuss how we get Scotland working again. I am not saying today, that we have all the answers. But let me assure you from today we will ask the right questions while the SNP seek to duck them. Let me tell you two differences between me and Alex Salmond. I didn’t come in to politics to break up Britain. And I didn’t come in to politics to dodge the difficult questions. I will answer them. I pledge this to the people of Scotland. What I say will not always please you. But what I say will always be honest and true and how I genuinely see it. I believe my job is to tell Scotland the truth about itself, and explain how we make our country better. It is not patriotic to say you are curing poverty when it still remains the same. You cannot hide a dole queue behind a saltire. The lion rampant is not an alternative to an opportunity to have an education or a job. Anyone who tells you anything different lacks credibility. So I want to start a debate about what Scotland’s priorities are. I want to identify our real needs and our real resources and discuss how we match them up. I want Labour to lead the debate about how we intend to look after our rising number of older people, how we accommodate people’s desire to have their own home, how to ensure that we can afford to pay for people’s pensions. How do we address the current unjust imbalance that exists between the funding of higher and further education; we need to be honest about the sustainability of “free” higher education, and the impact it will have on academic standards. How do we improve standards in schools while remaining true to our comprehensive ideal, where equality does not compromise achievement. How do we devise housing policy that ensures first class social provision while helping those who want to get a foot on the property ladder. How do we move beyond the “numbers game” on targets. We need to be honest that the target of 1,000 additional “bobbies on the beat” is not the best use of police resources when a number of them are filling back office jobs which have been cut. If the SNP’s promise of 25,000 modern apprenticeships was achieved it was only by sleight of hand. People in jobs for years being badged apprentices to meet the political targets. Press release headlines mattering more than peoples’ lives. We need to be honest about apprenticeships – apprenticeships should be as highly regarded university education. If this means fewer, but better quality apprenticeships, we need to be honest about this. We need to be honest that the funding of local government finance is in need of reform; we need to move beyond the “sticking-plaster” policy of a council tax freeze; our aim is to think about this seriously, not as the SNP did with local income tax, in order to put local government finance on a long-term sustainable footing. Nurses become nurses to care for those in need. Teachers become teachers to help children learn and develop. Police officers enter policing to protect communities and local neighbourhoods. They do not enter their professions to meet centrally imposed targets. We need a “new accountability” in public service delivery – an accountability that is devolved to the front-line. Politicians must remain ultimately accountable. I am not calling for a shirking of responsibility, politicians must be responsible for long-term strategic planning and major budget decisions. They must be responsible for leading improved performance and ensuring value from each pound spent, establishing clear guarantees about expected standards. It’s time for us to enter a new stage in public service delivery. My priority is to empower both the users of public services and those who deliver them to improve standards for all. Once we have decided as a country what kind of public services we aspire to, then we must have an honest debate about affordability. What I am calling time on today is the dishonest auction on what we can do. I am withdrawing from the game, where politicians look not at needs but at slogans and ask not how to improve the lot of the Scottish people but what we can bribe them with by claiming it is free. The fair and just Scotland we all want to build will cost. That is my honest opinion. And that’s what I will give you for free. I know that there are families, working hard, on above average incomes who feel they pay enough and are attracted by policies like free prescriptions, free tuition fees and the council tax freeze. I know where they are coming from. But I ask them to look at how they are paying for those free things. What price your free prescription when an elderly relative spends five hours on a trolley in A&E, or the life-saving drug they need isn’t available at all? What price free tuition fees when your neighbour can’t get a place at college, or when university standards are now lower than when they went to uni? What price the council tax freeze, when your parents care is cut, and your child’s teachers cannot give them the materials they need because there is a ban on something as simple as photocopying. There is a great reward for taking these hard decisions. In Government, we faced down huge opposition to housing stock transfer, including from the SNP, to deliver one billion pounds worth of investment in housing in Glasgow. Rather than put off tricky areas like land reform, we got into the detail and delivered the means to transform rural communities, socially and economically. And I believe we as a country will be rewarded again for taking hard decisions. Not taking hard decisions for the sake of it, but testing policies against the evidence to ensure we deliver for the people of Scotland. The SNP say to criticise them is to talk Scotland down. Instead it is they who insult Scotland by refusing to talk straight to Scotland. In a time of scarce resources, we, as a society, must make sure that those resources we have go where there is need and where there is opportunity. The SNP fail to make the distinction between an election strategy and a strategy to address the problems facing the nation. A strategy for government. They allow media tactics to over-ride policy direction. Now we will offer a fresh vision of where devolution should be renewed. But this thing struck me. The constitutional debate which we have had now for more than half a century – be it about devolution or independence – has meant that when we say change in this country, the only thing we mean is constitutional change. But we can change Scotland now. We have the powers in the Scottish Parliament now, to change radically education, health, public services. What we lack is the will. What we lack – and what is crowded out by the referendum debate – is a real debate of radical ideas about how we change Scotland now. We need to break out of the straight jacket of saying that more powers to politicians alone is the way we change the country. We need people’s attitudes to change. We need individuals and communities to feel empowered to change their lives. Yes we will change devolution but we need more profound change than even that. If it is going to get tougher to deliver the services we want, let alone expand them, I want to hear from the people who use them and the people who provide them on how we can change. While we wait for the referendum. While we wait for Alex Salmond to tell us his vision of independence – while we watch him squandering taxpayers cash in the courts to try to prevent the people for getting a sniff of that vision – we need the space for a different debate about how we change Scotland now. Too many people are losing their jobs, or the services they rely on, or the opportunities to better themselves, for us to hold back. We can debate the constitution. But there is no debate about the crisis we face in the public finances and the public sector. It is lived. It is real for families now. Let’s face up to the real questions. Let’s grasp them. And let’s have the courage to come up with honest answers. 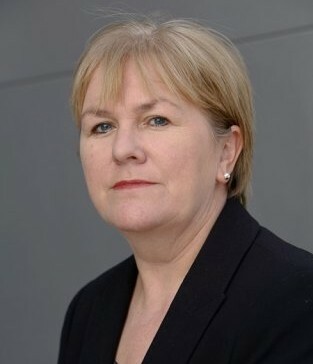 Johann Lamont MSP is the Leader of the Scottish Labour Party. Follow her on Twitter at @JohannLamont. I think that this may be one of the most misguided speeches from a Labour politicians since Gordon Brown banged the drum for ‘British job for British workers’. The central message appears to be an end to universal benefits, which can’t possibly play well with the electorate. One of the big problems identified is the tax system, yet at no stage does Johann suggest devolving it. With a referendum coming up the positive message for the union surely can’t be ‘more cuts’. There are a lot of questions but no answers, just talk about how there must be answers. Are you proposing increasing council tax? If not then that’s how it reads. This is not a speech based on any reasonable interpretation of Labour values and I hope that it is reconsidered and denounced as soon as possible. Labour used to endorse policies like: free prescriptions, free tuition fees and the council tax freeze. Whatever happened? The main problem in Scotland, and has been for many decades is relative low economic growth, lack of industrial investment and lack of job opportunities.This answers none of these problems and without growth we cannot properly invest in social needs. I cannot for the life of me see where cutting some benefits and increasing some charges will win any friends for Labour in Scotland. This policy statement has been a long time coming and does nothing for anyone other than spread some Calvinist misery around. One out of ten. The “something for nothing” part is quite upsetting. I get wanting to tackle these issues head on in a manner that the SNP won’t. I think that’s important and it also shows their discrepancies in the referendum issue – waiting until independence to tell us what they’ll do just won’t work – but Lamont seems to be signalling a shift towards something that doesn’t resemble the Labour values I hold dear. Yes, let’s talk about higher education funding but I fail to see how these hints towards tuition fees will in any way help us, especially with voters my age and younger. Let’s not forget the 16+ group who will be university age after the referendum the’ll be allowed to vote in. If the speech had been centred more on tackling the tax system then it would have been much better. Going after public services that are popular, necessary and major voter issues seems Tory-esque, and that really hurts to say. The phrase “something for nothing” is badly chosen. It’s a Tory shiboleth used when attacking benefits. But Johann has a point. I’ve always been opposed to the Council Tax Freeze: it’s a Tory policy and it undermines local democracy and the delivery and affordability of local services. It’s frustrating when we have to close libraries, or after school clubs or other cuts or raised charges because we have no cash, without the choice of even maintaining our current spending ability. She’s also right about “free” university education. The cost has been transfered to the tech’s and other colleges, and they are paying by mergers, closures and cuts in the number of places and courses. Less academic Scottish students are subsidising “free” university study for Scottish and European students. You might think that’s ok, but I think it’s still worth asking: is it really? She is not right about free education there are far better ways to regain the money from students than saddling them with debt before they have a job try a graduation tax… payable for a period of time after you get a job. She is right about the fact that the “free” university education is being paid for by cutting the college sector. She didn’t say that fees were the only way to get the cash, but that we need to be honest about the fact that university tuition is not “free”, it just isn’t being paid for by uni students but by cuts in other further education institutions for which students in those institutions pay. Put crudely, posh uni students and European uni students get free tuition at a cost to other Scottish FE students. It’s a choice on spending driven by populism and vote farmimg and not necesarily on what the country and the FE sector as a whole needs and can afford. Alex my other comment was deleted that said perhaps we ought to put everything on the table when we prioritise what we allocate money for such as the 5.5%of GDP that Scotland spends on defense when all our small, prosperous well defended neighbors spend only about 2%. I would prefer that education, health and care for the elderly were fully fund before we spend on other things. Besides if we take Norway as an example they have 7 air forces bases a navy that suits their requirements and recently spent 6billion on the joint strike fighter just to fulfill their NATO commitment… And that only accounts for 2.2% of their GDP… Seems we’re getting short changed up here… Besides this is a Trojan horse the main aim for labour appears to have us fall in line with the rest of the UK… I’ll be voting yes. Tuition fees are simply a dishonest, and frankly inefficient form of graduate tax. let’s have a proper graduate tax, as that chap Ed Milliband suggested. The Council Tax is a lousy way to fund local government, it only raises around 11% of total local government income. How much would CT have to rise by to cover the cuts? Did we learn nothing from the “New Labour” nonsense. Stop this drift from our core values. Freezing Council Tax and therefore cutting council services to the vulnerable in our society is not my core values. OTOH, it is Tory core values. Alex but a rise in council tax for the low paid earners isn’t conducive to fair policy neither.All this talk of cuts? but isn’t Scottish labour proposing a return to graduation tax for university students and doesn’t that suggests it’s a tax on what you earn after you leave university.Here’s a problem with the taxation system, someone who earns 10 tens more will pay the same price at the petrol pump or the same price for goods at the shops, it’s all fundamentally misleading unless there is a will to tackle not just a percentage of things but a general purpose to tackle all things.The something for nothing caper is just a silly phrase, people can pay a lifetime into the NHS but never or seldom use the service, people like say Halls of Broxburn employees have paid their taxes yet tomorrow they may find themselves redundant? do we stigmatise those people if they need to claim benefits in such hard times?I think Johann needs to clarify her position on a future wealth tax because right now the party is behind the blackball. I never thought I would see the day when a Scottish Labour politician would espouse Tory policies. What happened to the Party’s pre election promises to keep the council tax freeze, bus passes et al? Why are we in Scotland ditching traditional Labour values? Carwyn Jones, the Labour leader of the Welsh devolved parliament said:”We are not going to touch free prescriptions. If you look at what people have found most beneficial to them they will talk about free bus passes, they will talk about free school breakfasts, they will talk about free prescriptions. Those are the areas that I think members of the public will expect us to protect.” Why are we taking a different tack from Labour in Wales and sailing off in the opposite direction? I do not believe Johann Lamont wrote this script. Nor do I believe she can be comfortable with proposing it. I would like to see some honest comment here from some old-school Labour politicians such as Michael Connarty and Dennis Canavan as to what their views are on this. Are we to go back to means testing people? My grand-mother preferred to do without rather than subject herself to the shameful and embarrassing means test. I overheard two old codgers discussing this in the street today. Their diatribe against these proposals was turning the air blue. I feel that a major rethink is needed here before more votes are haemorrhaged. Johann doesn’t say these policies are ‘free’ – she clearly states that someone has to pay for them. She is denouncing the SNP for dressing up policies as ‘free’. I think she is spot on. Someone pays via higher taxes or direct charges or cuts elsewhere. As the SNP haven’t raised taxes and are not making direct charges applicable for some of these services it only leaves cuts. Other areas of government spending are being hit to present these ‘free’ policies to the people of Scotland. We pay for them by paying taxes – however if you follow what she says it is not all about money. She asks people to think about the human cost of these policies: the relative with care cut, the neighbour who can’t get into college, etc. Those are the people who are paying so that those who can afford it get their ‘freebies’. George Anders commented on drifitng from our core values – I ask this: are our core values not to provide for those in most need and to create a society where those with greatest need are helped by those who can afford to? Giving people in the highest valued homes 3 times the benefit as those in the lowest valued homes, via the CT freeze, is not progressive. Supporting a CT freeze in 2011 WAS us drifting from our values. Johhan Lamont’s strategy is very high risk. Opposition to everything advocated by the SNP regardless is not even a strategy, it is the politics of desperation. Whatever you think of the SNP it is a mistake to condemn everything they propose with out thinking through the logic of those policies. And the biggest folly for Scottish Labour will be opposing the SNPs stance on Trident. To defend Trident because of the jobs that will be lost by its removal as JL did last night on both STV and BBC2 must make Labour supporters’ cringe. I’m sorry Richard, but 500 jobs lost means 500 families having to suffer. You’re wrong, NIgel. The true figure is 520 jobs. Did the Labour run Glasgow City council not pioneer the council tax freeze one or two years prior to the minority SNP administration negotiating it with all the remaining councils nationally? I remember it being trumpeted as a great success by the ex leader of the City back when he was the great white hope for Labour in Holyrood. Why is it now being tarred as a Tory policy when it was a key part of the heartland Labour run Glasgow administration for at least two years longer than there has been any SNP administrations in Edinburgh. This is a genuine question if anyone here, denouncing the council tax as an evil rich persons ‘something for nothing’ give away, would be willing to explain it to me. Labour need to stop this debacle, we all know these benefits won’t be free forever but why not take Fiscal Control and use our tax system to address the situation. I’m a pensioner and I get no benefits except those that are universal, I’m willing to pay more income tax as my contribution to the less well off, but I am grateful for the Scottish stance of the nats. The use of class rhetoric to justify removing universal benefits will end in charging the single mum on a low wage for her prescription when she needs to feed her kids, taking away the treasured buss pass from the retired council worker, which was keeping him active in old age, and increasing the hardship felt by ordinary working families across Scotland. What is progressive about that? As Kieza Dugdale has already conceded, it cost more to gather the prescription than it ever returned to government coffers. The whole “chief exec on £100k per year is scamming free cough medicine at the expence of some poor single unemployed single mother” is a fallacy fan boys are using to try to rationalise and justify Lamont’s ill judged rhetoric. Milliband knows the value of universality, ensuring that all of us retain a stake in society. Lamont doesn’t get that, any more than Thatcher got it. That’s what should really worry labour supporters, not that Fred Goodwin can get on a bus for nothing. By all means lets have a proper debate about whether money raised by taxation is helping those who need it most. But the major flaw in Johann’s argument is that she doesn’t call for far greater tax and revenue powers to Holyrood. With the block grant being reduced every year, all any Scottish party can do is shift the cuts between the different devolved departments of heath, education, justice and local government etc. Universal benefits are a must and any means testing system will cost more and create a point of stigma. The simple solution is to address the situation with another universal system – taxation thresholds levels and rates. Do we give the partner of a millionaire who decides not to work a bus pass but deny another individual who fails the new thresh hold? I know several self employed people over 60 who award themselves a “salary” of several thousand pounds – the dividends don’t count – will they get a bus pass and free prescription under the “new” system – Yes! I will object to any level of prescription charge as it is a tax on the ill. I did not pay for my degree – why should my grand children? Why do we have the 4th. highest GDP spend in the world on Defence and even discuss cutting benefits?. Free prescriptions do not benefit the well off. They benefit the average earner & the low paid. To means test prescriptions costs almost as much as giving them for free. And there are other savings too. Think of the hospital costs avoided because people go to their GP for a prescription when they feel unwell, rather than treating the symptoms until they are simply too ill to go on & end up in hospital. And Free prescriptions are a Labour policy in Wales. Can Mrs Lamont not check who her target is before she fires off a broadside? She is making Labour look stupid. Well, I am in full flow tonight. But I can’t let this go past me either. Did the world economy suffer from the economic rise of the US post war? Or did it benefit? Did it suffer from the rise of Japan? Or did it, on the whole, benefit from it? We simply don’t know. The strengthening of Asian economies could be a boost to the world not a disaster. What will turn it into a disaster is western governments failing to act whilst billions of ‘hot’ investment money pours into Asia via tax havens because our governments are too gutless to pass & enforce laws to prevent it. No flag can deliver a job when the politicians get it wrong – not even the Union flag! We should concentrate on empowering the people through more powers for Holyrood. Fewer powers in London could liberate ideas and energy in all parts of the UK. If we ignore this truth we will be aiding an Independent Scotland and helping no-one in the rest of the UK> Think Radical! I thought this speech was a breath of fresh air. I don’t think it’s helpful for the Labour party and SNP to squabble over the term “Tartan Tories” – Lamont has proven that Scottish Labour are fit for Government and serious about the economic challenges that the SNP seem to ignore. « Where’s the big idea?